Protect your privacy and intellectual property, simply and easily. 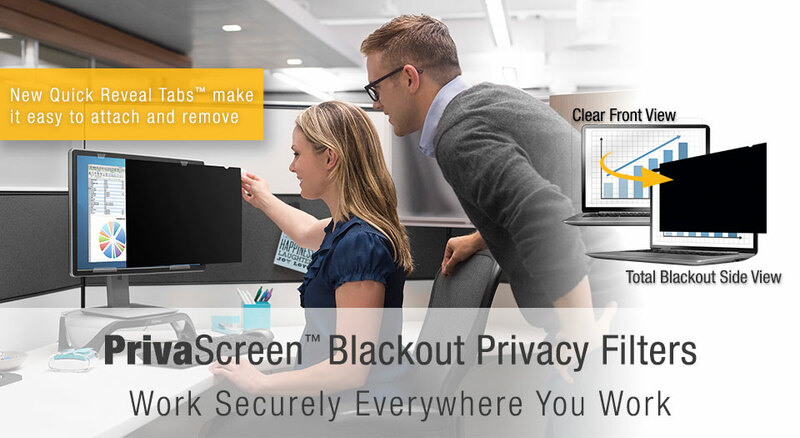 Fellowes® PrivaScreen™ Blackout Privacy Filters black out from the side view to protect your privacy, while maintaining a crystal clear screen straight-on. 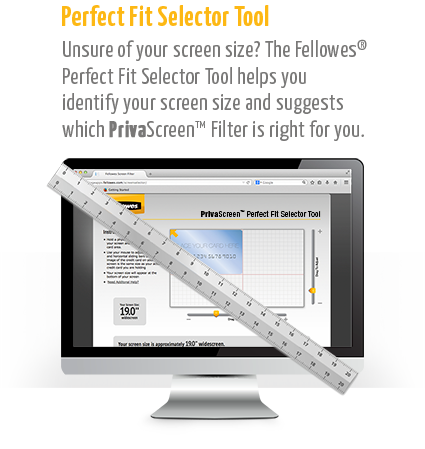 Whether for desktop, laptop, tablet or smartphone, PrivaScreen™ has a blackout privacy filter for you. 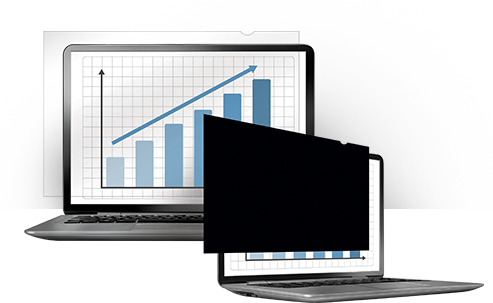 More healthcare professionals rely on laptops and tablets to interact remotely with hospitals. Without laptop privacy filters, their data access in public becomes an opportunity for an invasion of patient privacy. Outside the security of government offices, government workers using mobile devices risk exposing sensitive data. Privacy filters are an inexpensive and effective extension of mandatory state and federal security measures to protect confidential information. Whether it’s your broker, your accountant or a financial advisor, many financial professionals are traveling or commuting, many working as independent contractors outside of an office setting. Sensitive financial records on-screen without a privacy filter in place are subject to prying eyes. Corporate spies may not need to infiltrate a company to gain secrets when confidential data can be viewed and photographed over a traveling executive’s shoulder. Privacy filters can help protect against corporate spying in public places. As the number of workers outside the office continues to grow, so do privacy risks. In fact, 55% of working professionals work on their laptop in a high-traffic public area at least one hour per week. * From libraries to coffee shops to airport terminals, mobile workers need the security of privacy filters wherever they work to protect the data they handle. The increased use of laptops and mobile devices by teachers and administrators means sensitive data can be accessed beyond the secure environment of school grounds. Privacy filters can prevent the possibility of exposed student information in public. 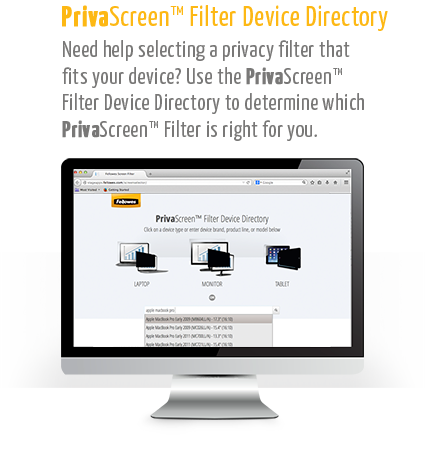 See how to properly attach your PrivaScreen™ Blackout Privacy Filter to your device.